Selecting and then managing a suitable aircraft PCB assembly service provider can be a challenging and time consuming process. As a responsible business person, you will be definitely in search of service providers who have considerable experience in the field and are equipped with all the latest technology to cope up with the challenges at the lowest possible cost. Experience in manufacturing: The concern you select must strive to create the maximal value for the consumers by being attentive to the challenges, concerns and demands and offering outstanding products for the customers. It is wise to opt for the business that is spread over a wide geographical extent. This will ensure that they employ the cutting-edge technology for the production of time-critical aircraft recorder PCB assembly service. Access to world-class equipment: The professional service provider that you choose should have an access to advanced technology and equipment such as reflow oven, solder paste printer, in-line testing and AOI testing machine among others. 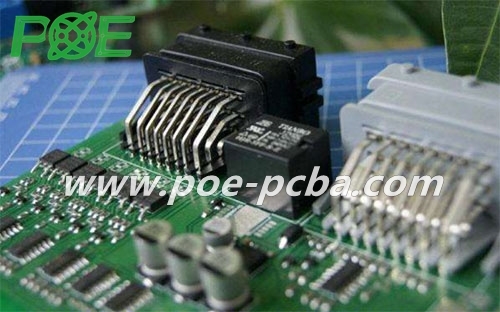 Some of the most coveted services provided by any competent aircraft recorder PCB assembly company typically include RoHS surface mounting technology, wave soldering , complete housing assembly, conformal coating, and different methods of inspection. Products should be stand up to harsh conditions: According to the reports of the Intelligent Aerospace, this industry is coming up with newer demands for the equipment and circuit boards. The new interfaces in the airplanes will be designed on the basis of IEEE 802.3 Ethernet technology which can offer better support systems like flight control, fuel consumption and operation involving the landing gears. Meeting problems of the airplane systems: Some of the most common issues in airplane systems include weight, consumption of energy, complexity, size and connectivity. The aircraft recorder PCB assembly services are not just responsible supporting the equipment, they also need to improve passenger experience. With the growth in the quantity of electronic devices involved in the commercial aircraft, the integrated devices as well as new interfaces are coming into being for improving the safety. The aircraft recorder PCB assembly services must ensure that numerous complex networks coalesce and work together effortlessly.